Jews represent the oldest monotheistic religion of modern times. Because of the uniqueness of their history and culture, all Jews have a strong sense of identity. Persecution of and discrimination against the Jews have been the historical reasons for their migrations and settlements around the world. The Jews of Europe arrived on the continent at least 2,000 years ago during the early days of the Roman empire. Since then, they have been a significant influence in the history and culture of Europe. Much of what is considered "Jewish" today finds its roots among the European Jews. 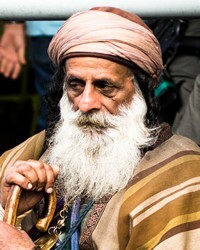 One of the unique features among European Jews is the distinction between the Ashkenazic Jews and the Sephardic Jews. 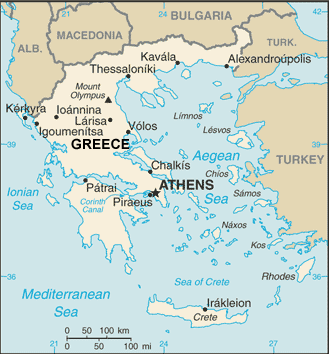 The word Ashkenaz is derived from a Biblical word for the larger Germanic region of Europe. Therefore, Ashkenazim Jews are those whose ancestry is linked to that area. This group traditionally speaks the Yiddish language, which is a German dialect that has Hebrew and Slavic elements. The word Sephard was the name used by Jews in medieval times for the Iberian peninsula. Sephardim Jews, then, are the descendants of the Jews who lived in Spain or Portugal prior to expulsion in 1492 by King Ferdinand and Queen Isabella. Sephardim also have a distinctive language called Ladino, or Judeo-Spanish. This is a dialect of Castilian Spanish with Hebrew and Turkish elements. During the last few centuries, Eastern Europe had the largest Jewish population in the world. National attitudes toward the Jews were ambivalent, depending on the usefulness of the Jewish inhabitants to the nations' rulers. Anti-Semitism was prevalent and frequently led to either persecution or expulsion. The Holocaust of World War II was the climax of Jewish persecution in Europe, leading to the extermination of six million Jews. Many Eastern European countries lost the majority of their Jewish population in this tragedy. As a result of the Holocaust, thousands of Jewish survivors and their descendants have emigrated from Eastern Europe to Israel, the United States, or Western Europe. The recent memories of the Holocaust as well as the centuries of discrimination and persecution play a strong part in modern Jewish identity. European Jews are strong supporters of "Zionism," a revival of Jewish culture and support of Israel as a national, secure, Jewish homeland. Since the dissolution of the Soviet empire, former Soviet Jews no longer live under oppressive government rule. Anti-Semitism is still a concern, but Jewish life has been revitalized in recreated countries like the Ukraine. Synagogues are functioning and kosher (traditional, acceptable) food is once again available. The Jewish emigration from Eastern Europe is cause for concern among the remaining aged Jewish population. As the older Jews die, the Jewish community dwindles. Many of the younger Jews are unlearned in their Jewish identity. They are either non-observant or have assimilated into the prevailing culture. However, strong efforts are being made to maintain a Jewish presence and clarify their identity. Jewish schools are being opened and Judaic studies are being promoted in universities. Jewish hospitals and retirement homes are being built. Community centers also promote cultural events such as the Israeli dance, theater, Yiddish and Hebrew lessons, and sports. Western Europe now has the largest concentration of European Jewish residents. The Netherlands received a large influx of Sephardic Jews from Portugal in the late 1500s, and another contingent of Ashkenazic Jews after World War II. They have been very influential in the development of Dutch commerce. England's Jews are concentrated in the Greater London area and have been politically active for over 100 years. They have been avid supporters of Zionism and solidly committed to the settlement of Diaspora Jews in Israel. A large percentage of England's Jews are affiliated with the traditional Orthodox synagogues. Italy's Jewish population is primarily Sephardic due to its absorption of Spanish Jews in the 1500s. France's Ashkenazic community received 300,000 Sephardic Jews from North Africa in recent decades. For religious Jews, God is the Supreme Being, the Creator of the universe, and the ultimate Judge of human affairs. Beyond this, the religious beliefs of the Jewish communities vary greatly. European Jews are extremely diverse in religious practice. The Ashkenazic Jews are the most prevalent, representing the Orthodox, ultra-Orthodox, Conservative, and Reform movements. The unusual and adamantly traditional Hasidic movement was born in Poland and has gained a strong following in the United States and Israel. The Sephardic denomination is similar to the Orthodox Ashkenazic, but is more permissive on dietary rules and some religious practices. Each Jewish denomination maintains synagogues and celebrates the traditional Jewish holiday calendar. While most European Jews are religiously affiliated, there is a significant minority which is not religious. The Jews have a wonderful understanding of their connection with the Abrahamic covenant. However, they also have a history of rejecting Jesus Christ as Messiah, the one who has fulfilled that covenant. Pray that as the Gospel is shared, it will not be viewed as anti-Semitic, but rather as the fulfillment of what God promised through Abraham centuries ago. * Ask the Lord of the harvest to send forth loving Christians to work among the Jewish communities. * Ask the Holy Spirit to grant wisdom and favor to the missions agencies that are focusing on the European Jews. * Pray that the Jewish people will understand that Jesus is the long-awaited Messiah. * Ask the Lord to soften the hearts of the Jews towards Christians so that they might hear and receive the message of salvation. * Pray that God will grant Jewish believers favor as they share their faith in Christ with their own people. * Pray that strong local churches will be raised up in each Jewish community. * Pray for the availability of the Jesus Film in the primary language of this people.View Jew, Spanish in all countries.